Ms. Redfern is the Executive Director of The Vancouver East Cultural Centre (The Cultch) where she curates a program of over 20 different presentations each season. Before coming to “The Cultch”, she was the Executive Director of the Greater Vancouver Alliance for Arts and Culture and the Artistic Producer for Catalyst Theatre in Edmonton. Heather has sat on numerous boards including The Koerner Foundation, and The Edmonton Arts Council. She was the first Chair of the Magnetic North Theatre Festival, an organization she helped to found. Ms. Redfern has been honoured with the City of Edmonton, Business and the Arts Award for Excellence in Arts Management and the Mallory Gilbert Leadership Award for sustained, inspired, and creative leadership in Canadian Theatre. She continues to work on innovative ways to promote Canadian artists at home and abroad. 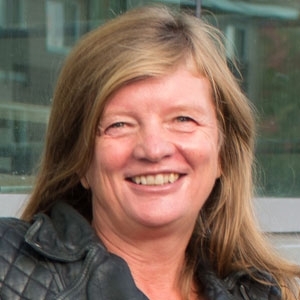 In East Vancouver, she has overseen $30 million of refurbishment and construction first at The Cultch and then as a driving force behind the restoration of the historic York Theatre. Over the past eleven seasons she has built an international reputation for the Cultch through her innovative curation and impeccable leadership.